Students - When I was a young girl, my little sister Heidi and I would always celebrate New Year's Eve with our Grandma Florence. My parents would go out dancing, and the three of us (plus our dog Thor or later, Valentine) would set up a small card table with a cloth and all manner of goodies from shrimp cocktail to Cheez Whiz and Ritz Crackers. Of course we would use Mom and Dad's wine glasses to toast the new year with sparkling apple juice, and of course we would blow noisemakers and wear sparkly crowns! My grandmother has been gone for thirteen years now, but to me, New Year's Eve will always remind me of a party with Grandma, Heidi, and all of our stuffed animals...spraying cheese into our mouths and counting down from 10 until the glittery ball dropped on our TV screen. I'm ready for it once more, this circle of planet and clock and life that twirls and twirls, just like a dancing dress. What to write about? Well, what have you ever waited for? I remember choosing all of those yummy party goodies at Loblaws and then just waiting for New Year's when we would be able to eat them up. And then I remember watching our small mantel clock clock tick away until midnight. When would it ever come? Try this - write about waiting. Speaking of waiting, on New Year's Day, the shortlists for the CYBILS will be announced on the CYBILS website. I feel grateful to have served on the panel of first round judges for poetry, and it was a challenge to choose which titles to send on. Don't miss the list, and be sure to revisit the CYBILS site again on Valentine's Day for the winners in all different categories. 2012 will bring some good news for my poetry. I look forward to a poem about writing coming out in TRAITS WRITING by Ruth Culham, a lice poem in NASTY BUGS edited by Lee Bennett Hopkins and illustrated by Will Terry, a poem about reading alongside Sylvia Vardell's March column in BOOK LINKS, and a poem in THE ARROW FINDS ITS MARK edited by Georgia Heard and illustrated by Antoine Guillope. 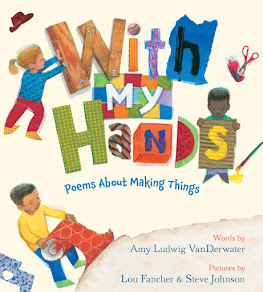 I also hope that Janet Wong and Sylvia Vardell will continue their work with e-books such as POETRY TAG TIME, P*TAG, and GIFT TAG. 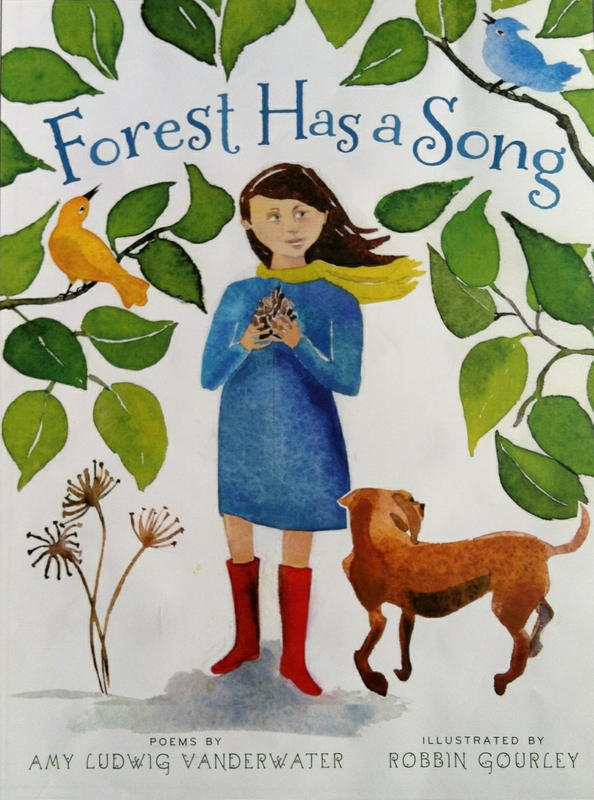 And by next fall, I should have news about my own book, FOREST HAS A SONG, to be published by Clarion and illustrated by Robbin Gourley in the Spring of 2013. As always, my fingers are continually crossed for a couple of manuscripts which are out there in the woods, tossing breadcrumbs from their wee hopeful pockets. 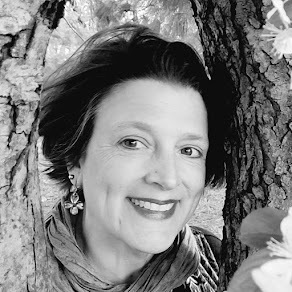 In terms of projects, 2012 plans include establishing at least two tiny libraries of poetry around Buffalo and working with Amy Souza and Jamie Palmer to launch SPARK for kids. Too, I hope to be selected to speak at a couple of national conferences in addition to regular teaching travel in Illinois, New Jersey, Massachusetts, South Dakota, and around New York State. THE POEM FARM blog and SHARING OUR NOTEBOOKS will continue on as they have for the past several months, with weekly-ish posts, and I will continue my Notes from Heart Rock Farm column in EDIBLE BUFFALO. At this time of year, I am grateful for many many things...including all of the kind and wise friends I have met through this space. May your 2012 be joyous! Julie Larios is hosting the final 2011 Poetry Friday roundup over at The Drift Record. Happy New Year! Great poetic memory & I always love your little sketches! It sounds as if you are having a terrific beginning to 2012. Congratulations on all your publishing, & happy new year! This post is full of great news! Wishing you all the best in 2012. I enjoyed your story of New Year's celebrations with your grandma. I had the best grandparents growing up. Stories like these help me to remember so many fun times hanging out with them. The New Year is one of those times we find ourselves looking back and looking forward all at the same time. Thanks for the smile...and Happy New Year. First off, thanks for all the poetry you've shared this year. It's wonderful to read and, for me, inspiring, too. Second off, yay for all your good 2012 news before the year even begins. Here's to much more of that in a happy, healthy new year. What a wonderful year you've had as well as what's in store for 2012! 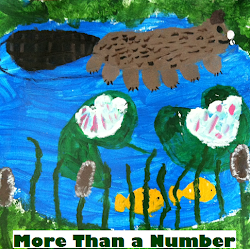 Your dedication and love for children's poetry inspires me! 3 cheers for Amy! First off, I am quite impressed that you managed to stay up until midnight every New Year's Eve. Maybe I would have done better if I had been allowed to squirt Cheez Whiz into my mouth, too. Your poem captures the anticipation of one moment, and your post captures the anticipation of a new year's projects! I'm excited to see all your pieces here there and everywhere, Amy. Congratulations. I especially want to hear more about SPARK for kids. Happy New Year! OOH! Spark for kids! Do tell more!!! Happy New Year, Amy! Sounds like you have big plans! 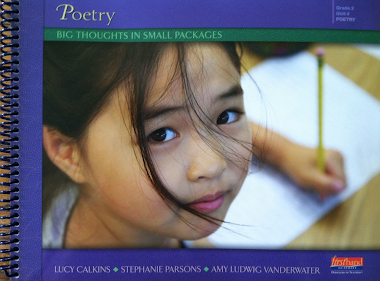 Establishing libraries of poetry is an admirable goal. How are you going about that? Thank you for the New Year wishes, dear poetry friends! Heidi & Mary Lee...I'm not sure how we're going to get SPARK for kids together, but it is a plan, and we will let you know when we know more. If you have thoughts about this, please share them! And Tabatha, did you follow the tiny library link? I want to start with a little box library, maybe in a local bakery (will solicit poem books from friends and publishers) and then am thinking of suggesting that PACYA and other poem lovers do this too. What do you think? Happy 2012! a.